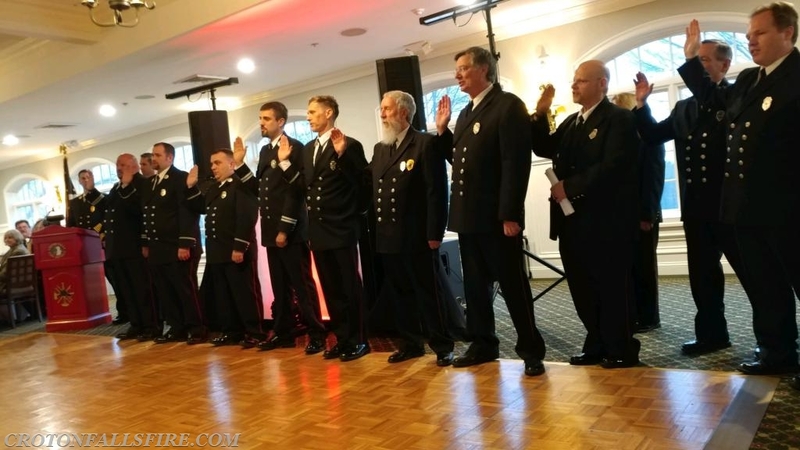 On the evening of May 4th, 2018 the Croton Falls Fire Department held its annual inspection and installation dinner at Salem Golf Course. Each year the two firehouses select one of their apparatus to be judged in the inspection. While all the apparatus and equipment are clean throughout the year this one piece is gone over with precision for the inspection...cleaning it from top to bottom and inside and out. The Croton Falls firehouse entered Engine 147, a 1994 pumper. The North Salem firehouse entered Tanker 8, a 1980 tanker. Both vehicles looked fantastic and the winner as decided by the Westchester County Parade Judges Association was Tanker 8. 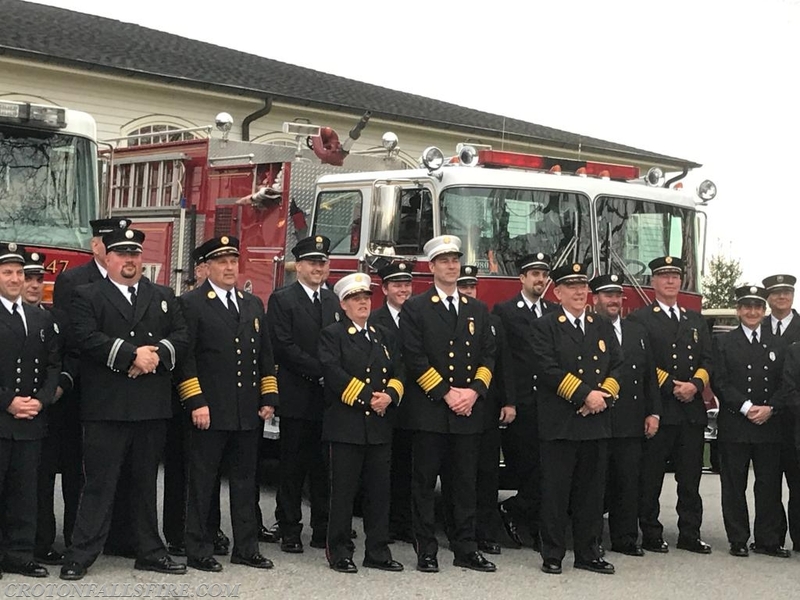 Additionally, 18 firefighters were recognized for responding to over 100 calls during 2018. And wrapping up the evening's recognition, Fire Police Captain Peter Van Scoy was recognized for his service of 32 years as department treasurer. 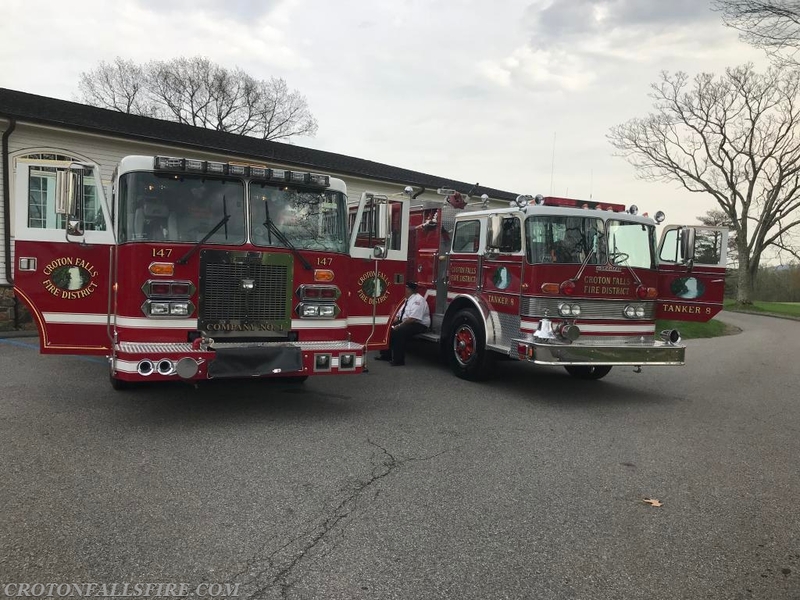 Engine 147 and Tanker 8, set to be judged.